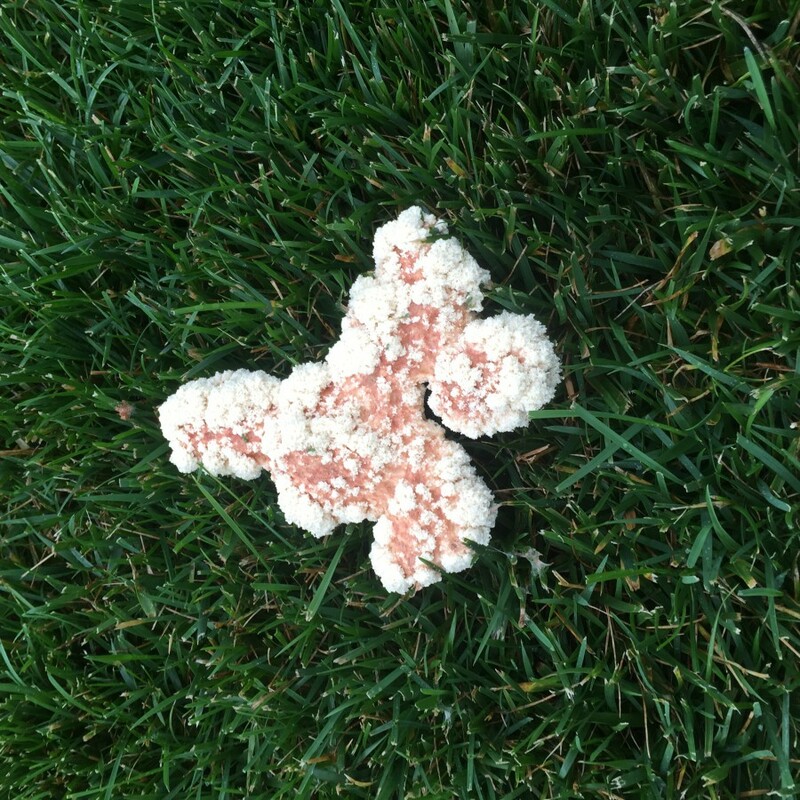 Slime mold #2 on the move–still cool. Nice turf underneath! Photo: Greg Slabaugh, Turfworks Pro. 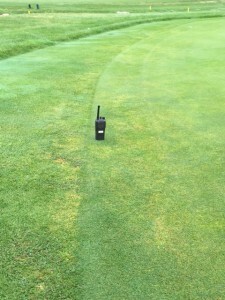 We recently had a sample of a mixed bent/Poa putting green turf with damage to both the annual bluegrass and the bentgass. 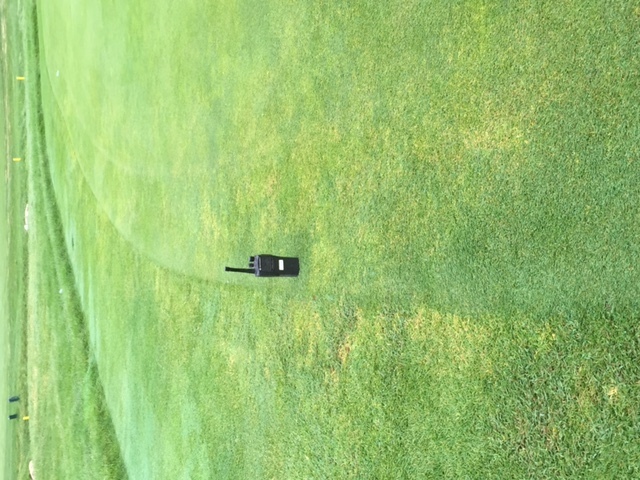 The Poa was yellowing, but the bent was toasted too. The disease workup was negative, but the submitter also sent a container filled with annual bluegrass weevil (ABW) adults that explained (duh) the cause of the yellowing Poa. 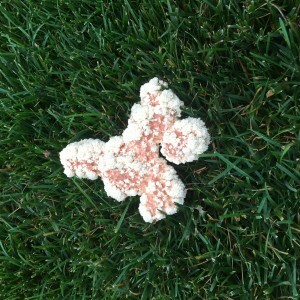 We also found chewed plants. 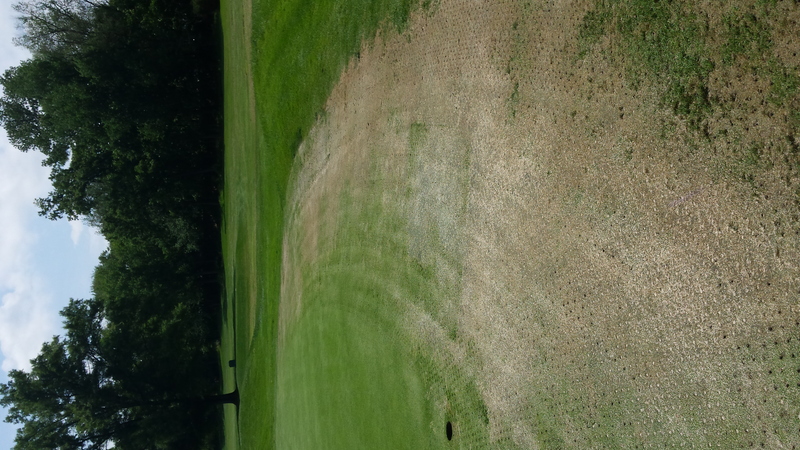 So, what happened to the bentgrass? Fortunately, Sabrina spilled out the container of ABW adults, and low and behold, there were a bunch of black turfgrass ataenius (BTA) adults mixed in. I suspect that BTA populations are inadvertently controlled on most golf courses during our annual springtime ABW insecticide bombardment. 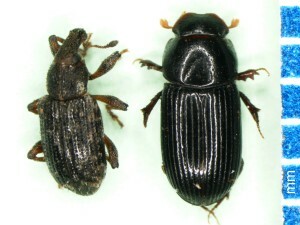 At the very least, BTA are considered a low priority pest compared to the ABW and are often ignored. 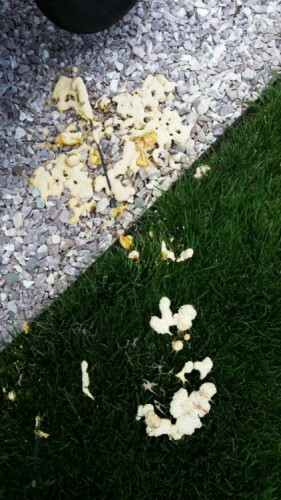 Like Kurt Vonnegut’s Slaughterhouse Five, our sample of BTA survived the barrage. 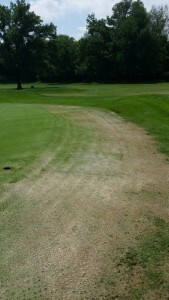 In fact, for the amount of insecticide going out on this golf course, the ABW were pretty chipper themselves. I hope you guys are listening to Dr. Albrecht Koppenhofer concerning ABW insect resistance management (call the lab for resistance screening) because there was plenty of product going out on this golf course and some seemingly happy insects. 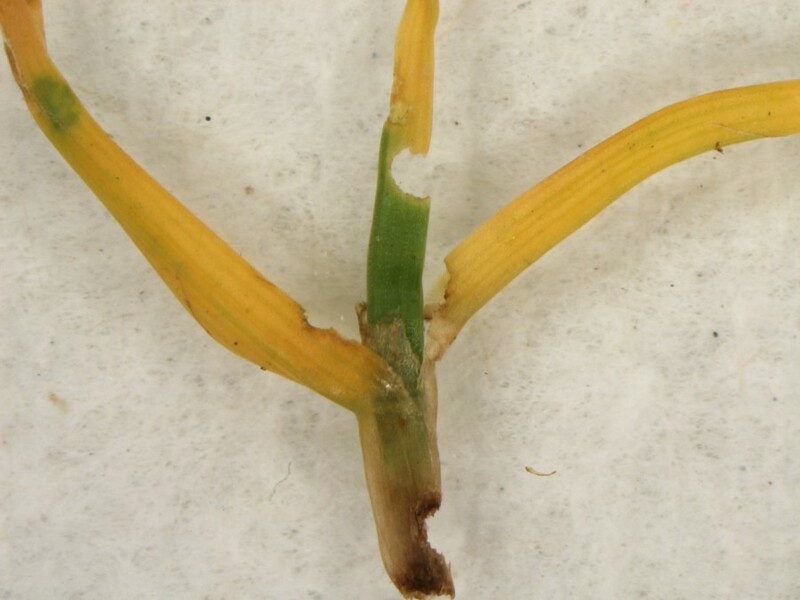 Among the ABW injured samples, we are seeing a little summer patch too. 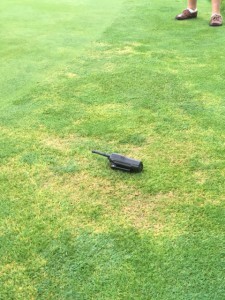 In fact, we are seeing a lot of summer patch from both golf turf and residential lawns. Some of the fine fescues on our turf farm are hammered as well. These photos reflect some samples from yesterday. 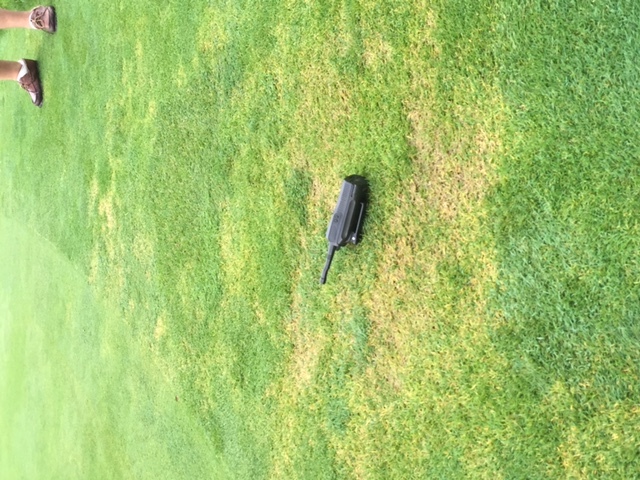 Marginal yellowing and thinning often indicates ABW damage. We found no critters, but lots of chewed plants and underneath it all was summer patch. …only one thing that I’ve got to say… I need a miracle everyday! See you in Chicago and enjoy July 4th! We’ll be back in the lab on Tuesday.